The first Saab expected to benefit from new alliances would be the next 9-3 (current model shown). GENEVA – Saab is in talks with up to a half dozen automakers on sharing technology on future models, Spyker CEO Victor Muller told Automotive News Europe. “We have been approached by five to six OEMs who are interested in becoming our technology partners,” Muller said on the sidelines of the Geneva auto show last week. A separate source familiar with the company said Volkswagen AG and its premium unit, Audi, are not among those involved in the current talks. Muller's Spyker Cars NV, a Netherlands-based maker of luxury sports cars, completed the purchase of Saab from General Motors Co. late last month. 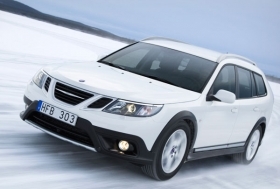 Saab's production- and intellectual property-sharing agreements with GM last through the introduction of the new 9-3 premium compact line in 2012. Muller said the potential cooperation could involve engines, components or platforms, but stressed that it is “far too early to say anything sensible about it” so soon after the takeover. “It is not possible to change engines, platforms and so on in the middle of a vehicle's lifecycle. But for the next 9-3 in two years time, that could make more sense,” he said. Skeptics have questioned how Saab, which never made money while GM owned it, can make a profit without benefiting from economies of scale as part of a larger automotive company. Spyker, led by Muller, closed the deal to buy Saab from GM for $74 million in cash and $326 million in preferred shares on February 23.